By acquiring the world's largest professional social network, Microsoft gets immediate access to data from more than 433 million LinkedIn members. In my latest SXSW talk, I showed a graphic of each of the major technology giants to demonstrate how much of our user data each company owned. I said they won't stop until they know everything about us. In the past I wrote that data, not software, is eating the world. The real value in technology comes less and less from software and more and more from data. As most businesses are moving applications into the cloud, a lot of software is becoming free, IT infrastructure is becoming a metered utility, and data is what is really making or breaking business results. Here is one excerpt from my post: "As value shifts from software to the ability to leverage data, companies will have to rethink their businesses. 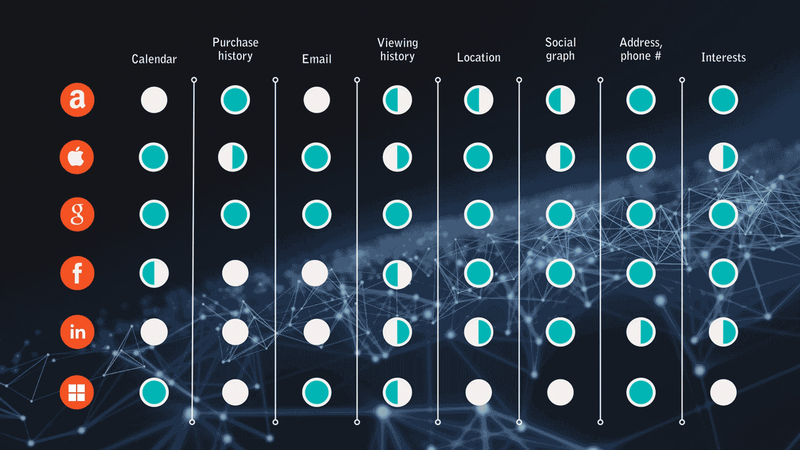 In the next decade, data-driven, personalized experiences will continue to accelerate, and development efforts will shift towards using contextual data.". This statement is certainly true in Microsoft / LinkedIn's case. If this deal shows us anything, it's about the value of user data. Microsoft paid more than $60 per registered LinkedIn user. The $26.2 billion price tag values LinkedIn at about 91 times earnings, and about 7 percent of Microsoft's market cap. This is a very bold acquisition. You could argue that this cost is far too hefty for LinkedIn, but this deal is symbolic of Microsoft rethinking its business strategy to be more data and context-centric. Microsoft sees that the future for them is about data and I don't disagree with that. While I believe acquiring LinkedIn is a right strategic move for Microsoft, I'm torn over whether or not I think that Microsoft paid too much for LinkedIn. Maybe we'll look back on this acquisition five years from now and find that it wasn't so crazy, after all. Microsoft Buys LinkedIn: Why Is It Awesome?